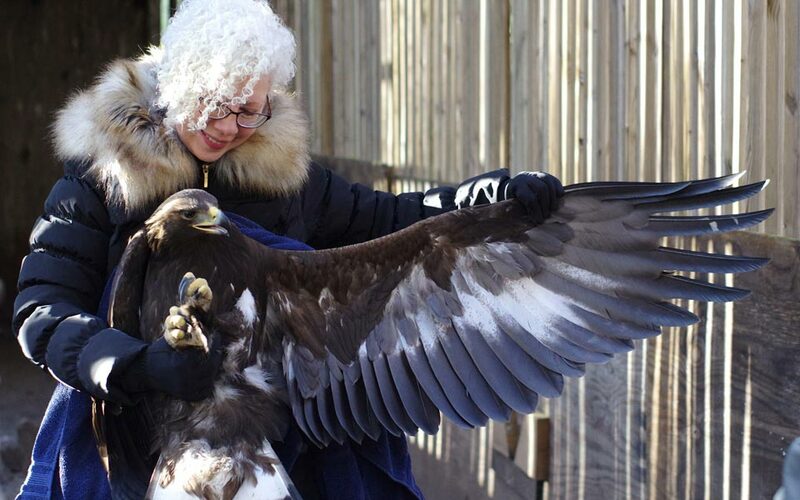 On Jan. 11, 2019, Robyn Graboski, director of Centre Wildlife Care (CWC), released Mercury, a golden eagle, back into the wild. Mercury had been treated for West Nile virus and, once fit, was ready to go. Here, Robyn demonstrates the length of Mercury's wing. Wayne Laubscher performed the next step: banding the eagle. 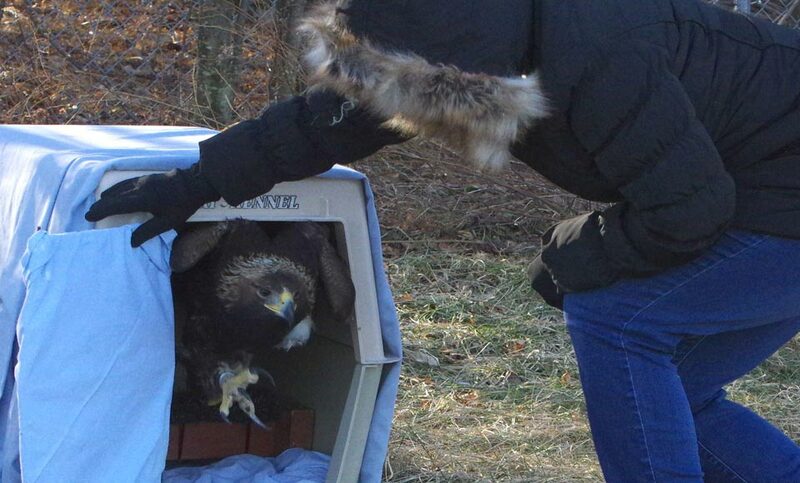 After a successful banding, we went to Bald Eagle Mountain, and as soon as Robyn opened the door to Mercury's crate, Mercury lived up to his name for speed and immediately came out. 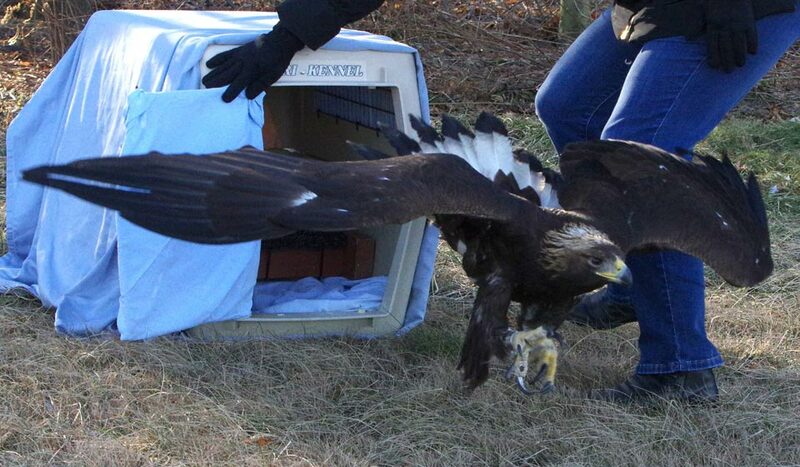 The contrast between a golden eagle's wingspan and the width of the crate is amazing. A powerful wingflap on the part of Mercury sent him upward. And Mercury the golden eagle was soon soaring over the valley. 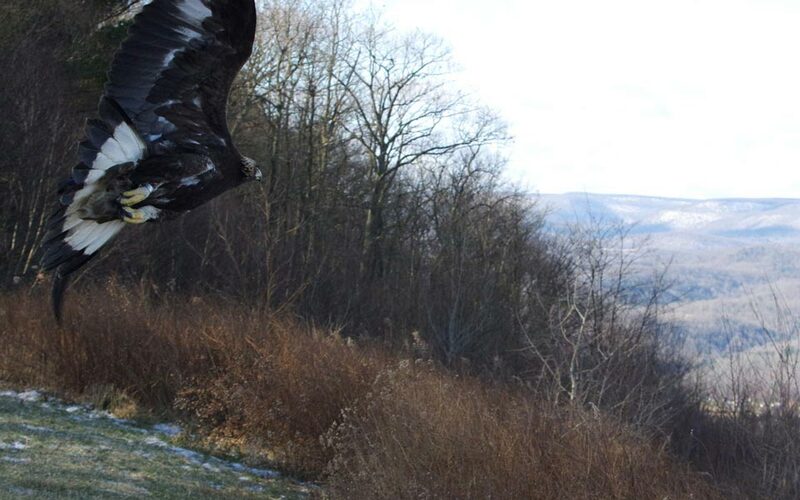 Watching a healthy golden eagle return to the air is something majestic as well as spiritually rewarding. On Facebook, on the CWC public pages (which anyone can view, whether or not having an account on FB), I put together an album of 15 photos (taken by me and Wayne) on the banding and release of Mercury. Photo note: I used a Pentax K3-ii, with the SMC-FA f1.4/50mm lens for the first two, and a Pentax K3, with the SMC-DA* 60-250mm lens, for the remainder, taken on 11 January 2019. 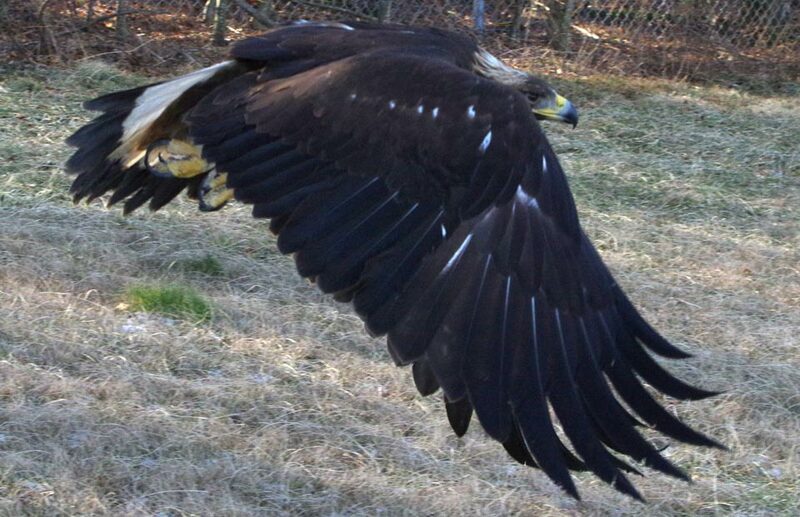 Note 3: CWC bald eagle releases (which I've photographed): Canace (January 2013), Xena (September 2013), Lana (October 2015), Teddy (Jan. 2016), Ronny, a 3-year-old, (Feb. 27, 2018); and Phoenix, a juvenile (March 15, 2018).